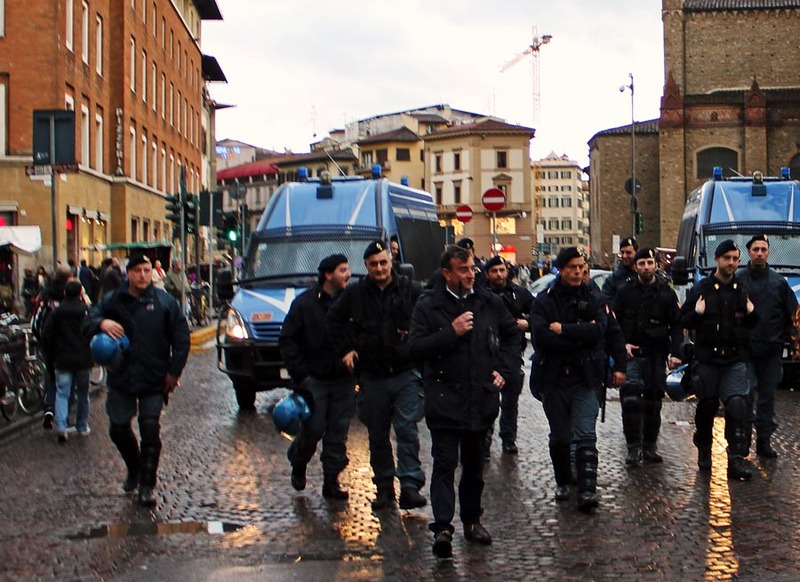 These are images of street march and protest in Italy. 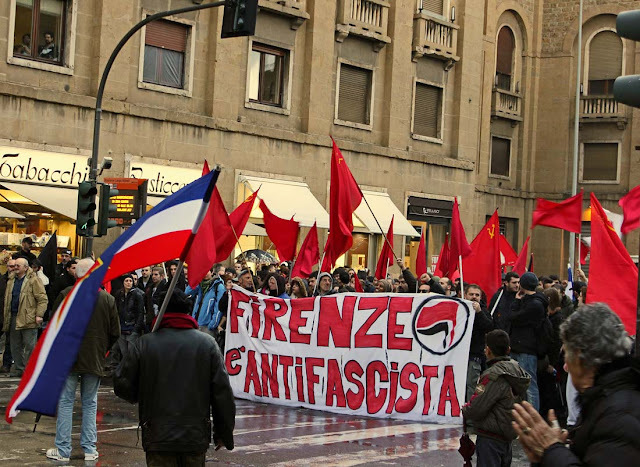 This particular one took place last year but these images show that street protests are common all over the world, including the developed world, particularly Europe. Police in riot gear have to be be around to ensure peace. 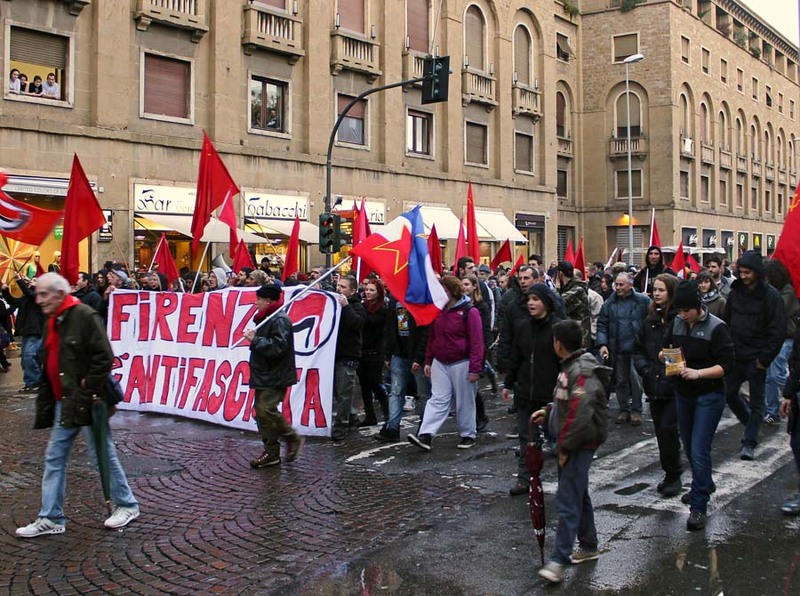 This 2012 street march was an anti-fascist march in which thousands of people took part - in Florence, Italy. Italian police in riot gear. Related Images: Swiss Traffic Police at work or Surveillance Cameras on the streets of London. Airport Security Checks or street demonstrations and Strikes in Kerala, India.